Kilo Kitchen is already a well-loved name among its fans who love its Latin/Asian fare, creative cocktails and edgy, industrial vibe. 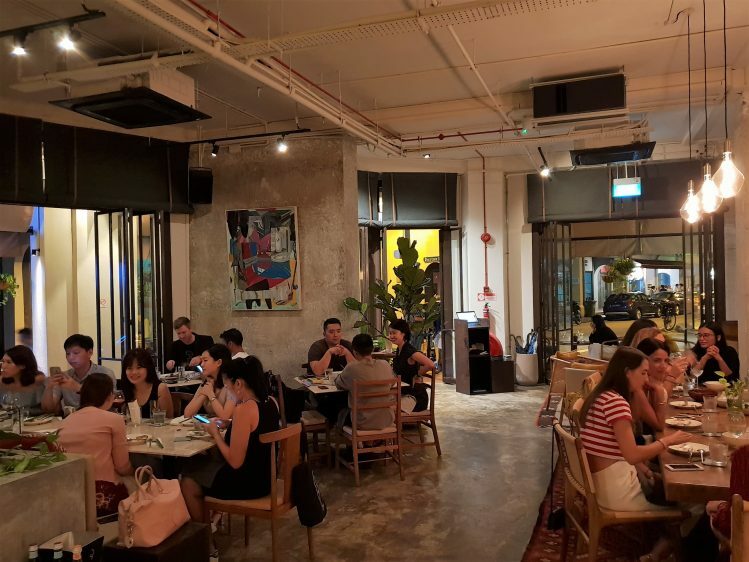 It saw great success in its old location at Kampong Bugis, where Camp Kilo Charcoal Club still resides, and one of my coffee haunts Loysel’s Toy used to be. I’d be chomping down on my grilled meats at Camp Kilo, while a parade of beautiful people would arrive, all dressed like they were ready to party, and take the lift up to Kilo Kitchen. Well, they’ve re-opened at Duxton, so suddenly the incongruity of the location isn’t as apparent, and personally, I’m liking this ambience a lot more. 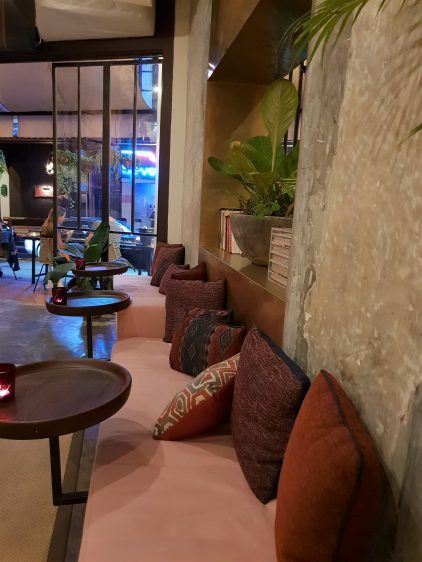 The industrial vibes from its former crib is brought over but I like the attempt to bring a bit of Bali into the place with cosy cushions and strategically placed lush greenery. And, despite the floor to ceiling opened windows, you won’t feel warm from our Singapore weather. 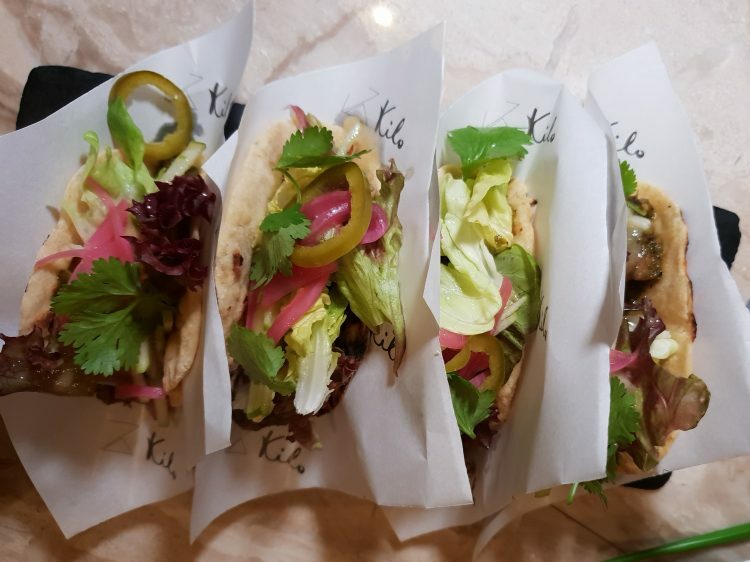 I was invited to Kilo Kitchen to check out their new menu since its re-opening in Dec 2018. By the way, my fellow drivers, even if it’s a random Tuesday, Duxton will be a hotbed of CBD types looking to splash their cash, so parking is going to be hell. Don’t even bother circling around, do what I do and park at Craig Place, a 3-min walk down through pleasant Duxton Hill to the bottom and you’re at Kilo Kitchen. As I was horribly late (on account of the parking situation), I didn’t manage to get a picture of the bread but Kilo Kitchen’s Pan ($7) is quite unique – a grilled fermented potato focaccia. I liked the slightly cheesy taste that was a result of the bread being baked alongside a fermented potato. And instead of just some olio, Kilo Kitchen gives you a shallot and garlic confit dip which has been spiced up with adobo sauce. Ah, the classic Crab Croquettes (2 for $8). 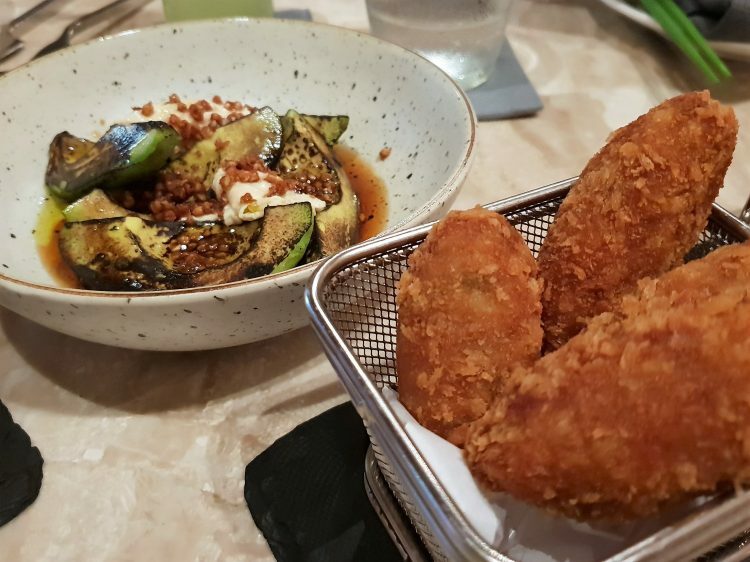 The croquettes are just what they should be – crisp on the outside, creamy on the inside. I was glad for the basil vinaigrette dip though, as I think it really helped cut the eventual monotony of the croquette. I must say I love me some avocado any day, and Kilo Kitchen’s Grilled Avocado ($10) is not the stuff I usually put on my homemade salads! Too bad I don’t have a wood-fired oven to impart all that grill flavour to my normally bland avocado. They make it even more flavourful at Kilo Kitchen by dressing the avocado with ponzu and adding buckwheat puffs for crunch. The next dish is not what my momma makes, that’s for sure. Atas Lentils ($26). 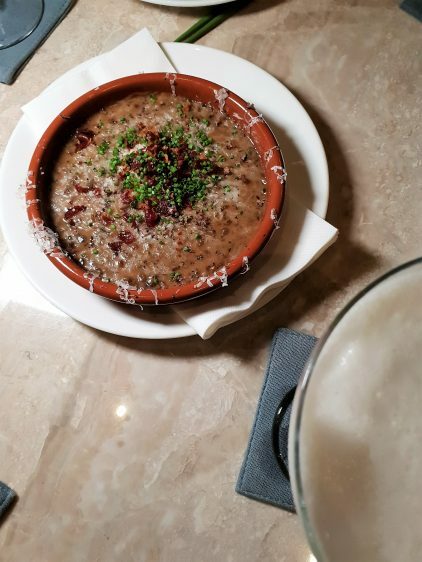 As the name implies, it’s elevated lentils with iberico jamon, black truffle and manchego cheese. I could definitely get behind this dish, and some flatbread or even taco shells would have been a great companion to the creamy lentils. 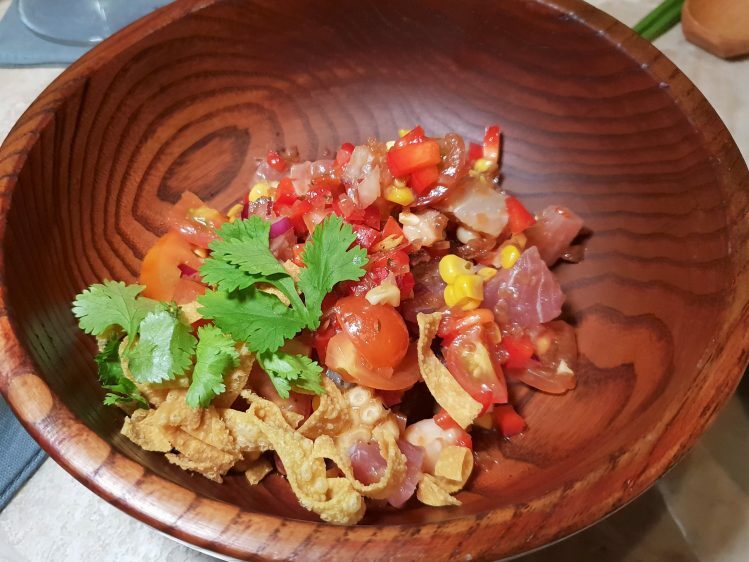 Seeing Wasabi Tuna Tartare ($22) on many menus these days, I think it has become somewhat of a staple at restaurants that merge Asian and Latin cuisines. And I’m guessing it’s not the hardest thing to screw up? So, yes, at Kilo Kitchen, it was just how it should be. 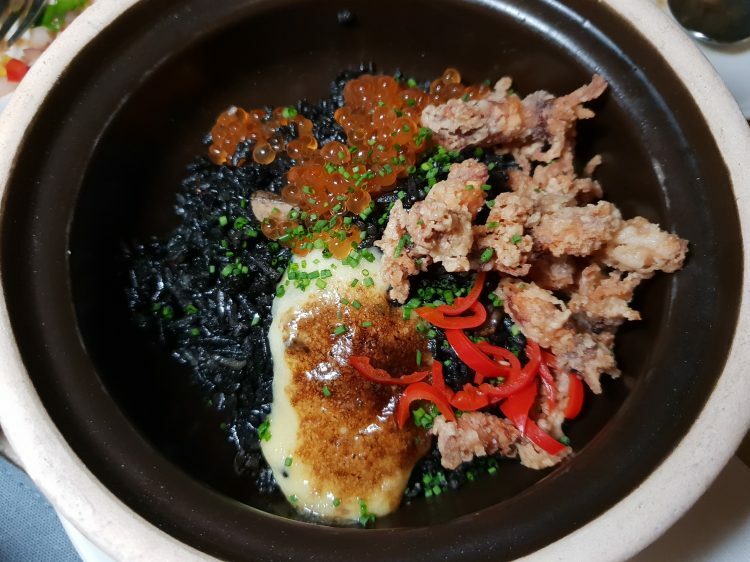 Acidic, slightly salty, creamy, and with some nori-dusted crisps for just that little bit of difference. 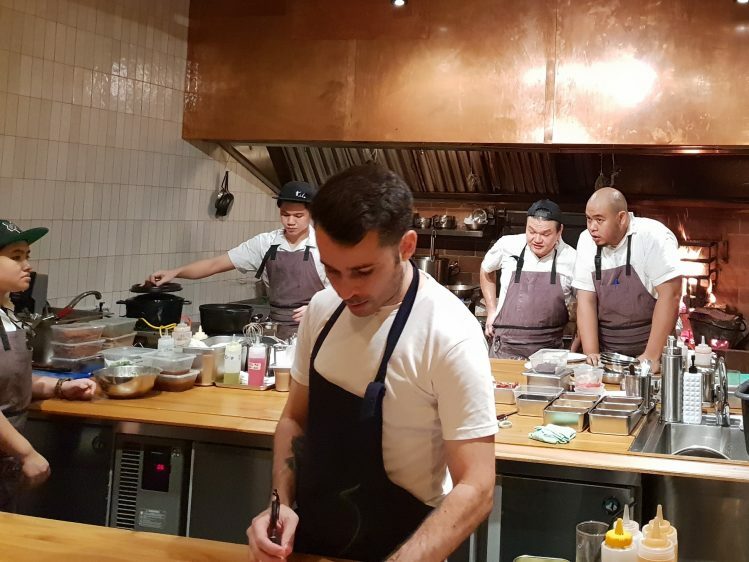 Speaking of Latin, that’s the Executive Chef, Manel Valero who has returned to the Kilo family after a sojourn around Michelin-starred restaurants in Europe. On the other hand, something less rare in restaurants here, the Beef Tongue Tacos (2 for $18). I am usually squeamish about off-cuts, but… thanks to the piquancy of the slaw and the occasional, but much appreciated jalapeno, I ate not just one, but two of the tacos. The tongue’s texture is smooth, and the taste, rather strong. I was in luck as the Grilled Fish of the Day was coral trout, and pink is my favourite kind of fish. So girly. 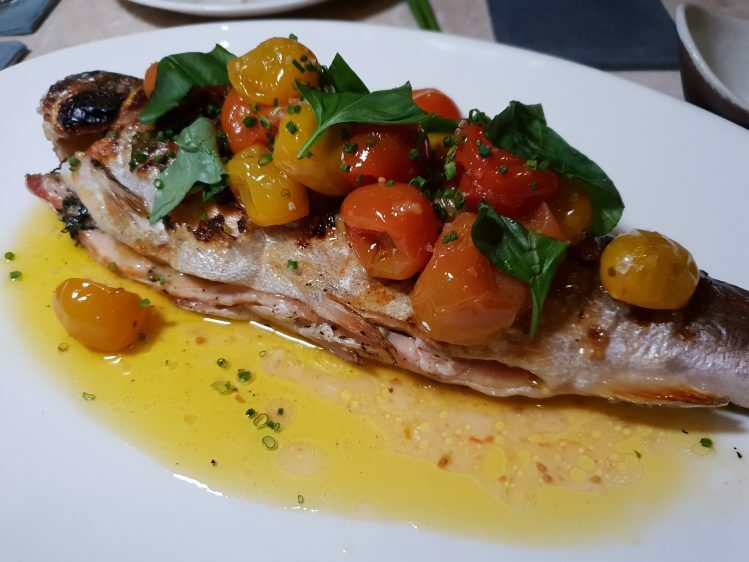 Anyway, the fish was flaky, tasty and the generous charred tomatoes strewn across it just made it all the better. 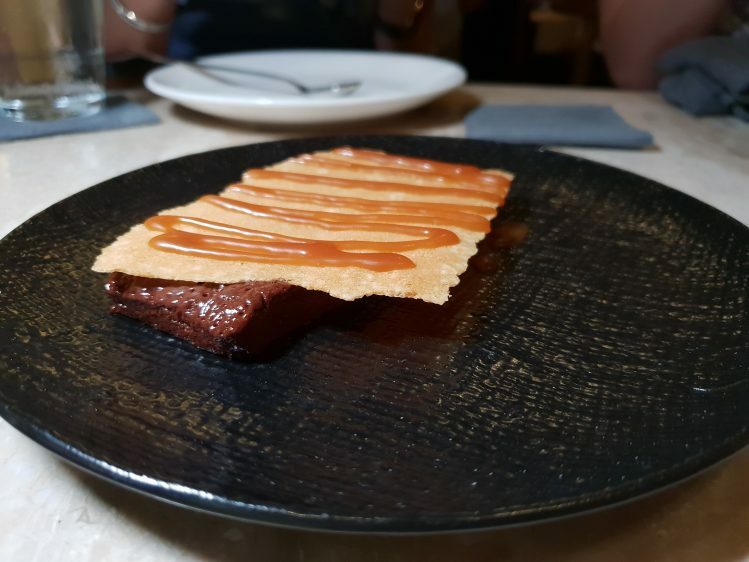 For desserts, we were told there were just two options at Kilo Kitchen. And I loved both of them. 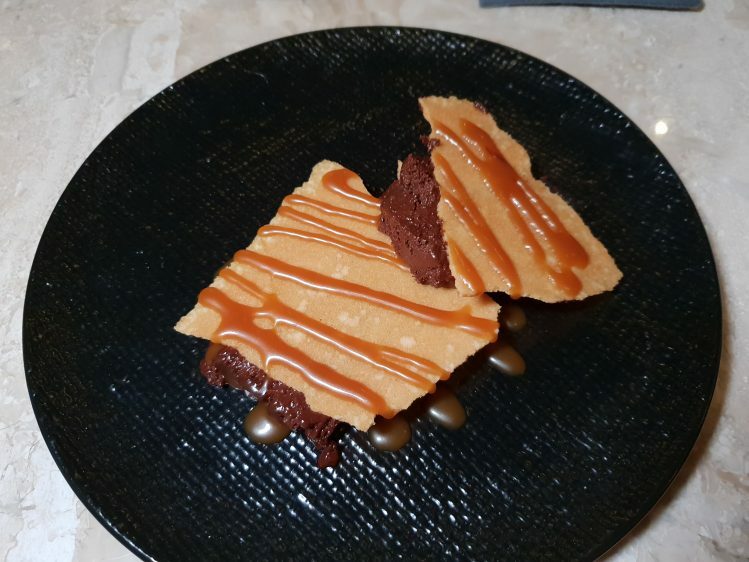 The deceptively simple looking Chocolate Terrine ($14) was just the right amount of bittersweet and a highlight is the “charred” flavour of the caramel sauce. Very nice. And the Coconut Tembleque ($14), certainly looking and sounding much more exciting than the chocolate, lived up to its name – which essentially is inspired by the trembling of the coconut pudding as it’s placed before you. 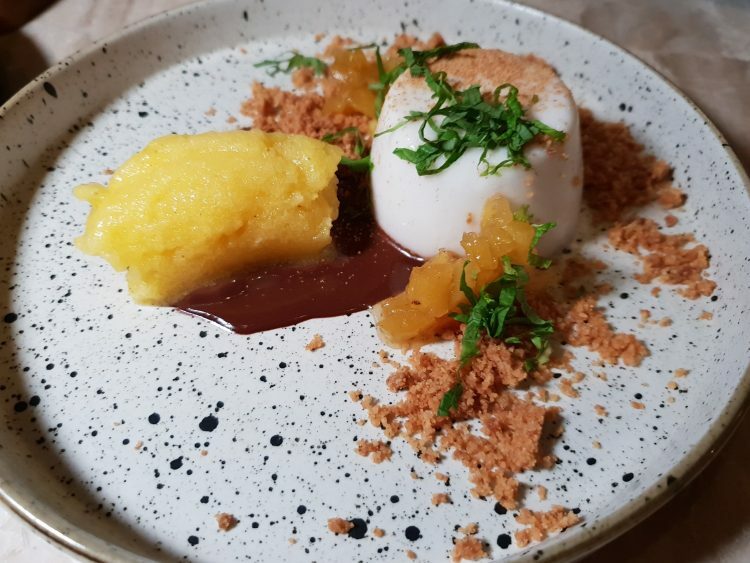 The pineapple granita is a perfect match with the coconut, making me feel like I was eating some sort of Asian pina colada. 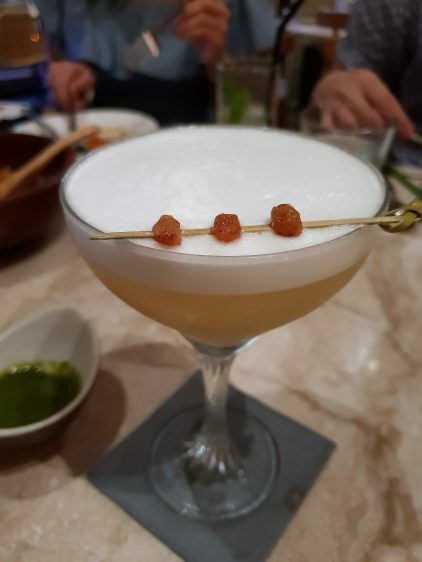 Kilo Kitchen brings a certain breezy flair to the Duxton hood, and I think is a great place for a catch up with friends who appreciate not just a good cocktail or two, but interesting, tasty bites. Nuita Marrakech ($19) – vodka and vanilla swimming with a banana cinnamon liquer? Sold!